Support for current versions of Linux 4.4 guaranteed to last until 2022. 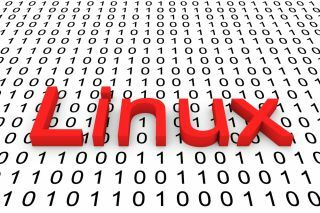 The long-term future of Linux has been officially confirmed by the organisation behind the popular software. The Linux Foundation has revealed that Linux 4.14 will be supported until January 2020, whilst Linux 4.4. will last until 2022. The news was confirmed by Linux Foundation director of IT infrastructure security, Konstantin Ryabitsev, in a Google Plus post written after October’s news that the Linux kernel team agreed to extend the next version of Linux’s Long Term Support (LTS) from two to six years was met with plenty of confusion. The extension to the LTS will help Android, embedded Linux and Linux IoT developers, but not all future Linux LTS versions will have the same lifespan. Ryabitsev said: "Despite what various news sites out there may have told you, kernel 4.14 LTS is not planned to be supported for 6 years. Just because Greg Kroah-Hartman is doing it for 4.4 does not mean that all LTS kernels from now on are going to be maintained for that long." Long story short, if you’re working on a Linux distribution for the long run, consider building it on Linux 4.4. The other Linux versions are Prepatch or release candidates (RC), Mainline, Stable, and LTS. As for the latest LTS, Linux 4.14, Ryabitsev said, "It is possible that someone may pick up maintainership of 4.14 after Greg is done with it (it's happened in the past on multiple occasions), but you should emphatically not plan on that."